Primarily designed for outdoor use, this Seasonal Wrapped & Ready MatMates Welcome Mat is created using a process that gives the mat a beautiful & colorful finish while making the mat fade and stain resistant. 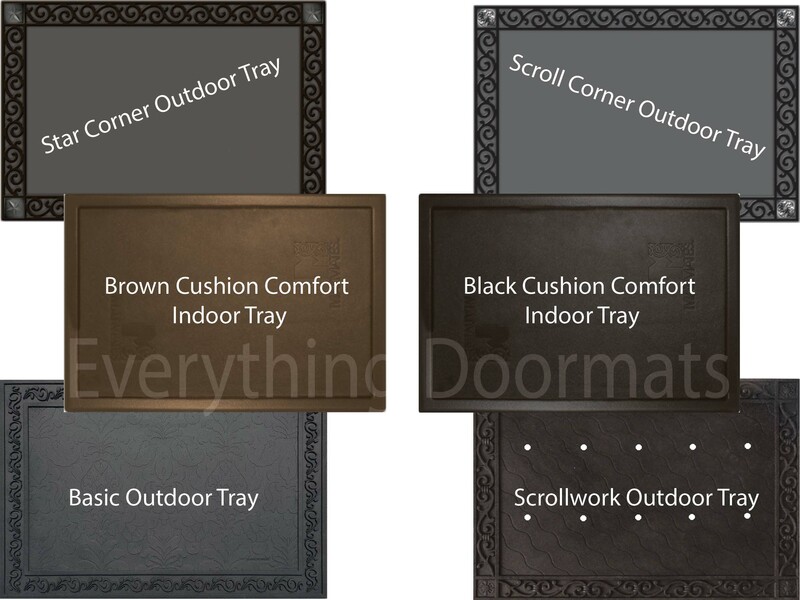 This seasonal MatMates doormat insert is also well suited for use indoors when paired with the Cushion Comfort Tray adding an ergonomic anti-fatigue PVC foam mat to the beauty of your MatMate? Insert. Care for the Wrapped & Ready MatMates kitchen and decorative floor mat is easy, just visit our Cleaning & Care Page for how to care for your new Doormat. This Winter Thanksgiving doormat is 18" x 30" when used as a stand-alone mat. Note: The Wrapped & Ready MatMates is pictured in our Brown Cushion Comfort Tray. The outdoor trays and Cushion Comfort Trays are sold separately.